Today's marketplace is crowded, so you have to do what's necessary to make sure that your business receives the attention you want. A tried-and-true advertising tool is a custom commercial sign. In addition to sign design and installation services, our company also offers a broad range of services related to sign fabrication. The skilled professionals at our shop can create any signage you need, and there is no limit to the designs because you tell us what you want. When you provide us with your ideas for you custom sign, we bring them to life with our sign fabrication services. Making sure all of your signs are the best they can be is one of our primary goals. This is why we create all of our signage in-house using the finest materials and craftsmanship methods. Once we fabricate the perfect sign for your business, we do what's necessary to make sure that it's always visible and operating properly. Sign maintenance can include, but is not limited to, changing out lights, refilling neon, replacing poles, and any additional care your particular sign requires to stay in good condition. Repairing and maintaining older signage, even those we didn't make ourselves, is a part of the full spectrum of our services. Let us give you an honest estimate on any sign fabrication, repair, or maintenance services you need. At our sign company, we build our products to last, but we also know that accidents can happen at any time. If you find your signage broken or in any state of disrepair, give our company a call to schedule timely and affordable sign repair services. From careless drivers backing into parking lot signs to neon running out in lighted advertisements, our company can quickly repair natural damage and the type caused by manmade accidents. When we repair a sign, we don't use the same approach every time. That’s because your sign is custom-made, even though it may be the same product type as someone else's. Custom sign repair from our company means potential customers, clients, and patrons will never miss seeing your advertisements, messages, or company name. For the best prices and highest-quality repair services for your signs anywhere in the area, come to us. Make sure your shop or store is the star of the area when you use a neon sign to advertise. Although neon can be beautiful and useful to your business, it can also become an eyesore and an embarrassment when part of its lighting starts to flash or completely goes out. If your sign has this type of damage, we'll restore its functionality with our neon sign repair solutions. We thoroughly check your defective sign to determine what's happening to it. Often, the issue is a bad section where the neon has burned out. We can easily fix a problem with a broken section by removing it and replacing it with a new section. This will usually make your sign fully operational again. However, sometimes the problem is more extensive and involves the transformer. If this is the case, replacement of the transformer is necessary for effective neon light repair. Transformer replacement is a relatively easy repair job, so we can usually do it without too much inconvenience for you. All of this and more is how we provide you with the ultimate in custom sign repair. Not only do we create the perfect signage for your specific needs and repair it when it's damaged, but we also help maintain their condition with our sign repair service options. As part of our total sign service package, we perform the necessary sign maintenance to make sure that no one misses your message. Ensure your investment lasts as long as possible. 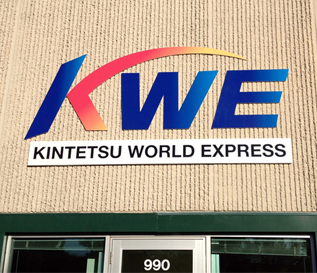 When you hire us to make your sign, you can depend on us for quality sign manufacturing. We start by using top-rated materials such as metal, plastic, wood, neon lights, or whatever supplies are needed to create your custom sign. Next, we make an accurate design of your sign and precisely follow it so that your sign looks exactly the way you requested. From high-quality fabrication processes to maintenance and repairs, we ensure your business or organization always shines brightly. throughout Minneapolis, St. Paul, Maple Grove, Rogers, Blaine, Minnesota, and the surrounding areas.